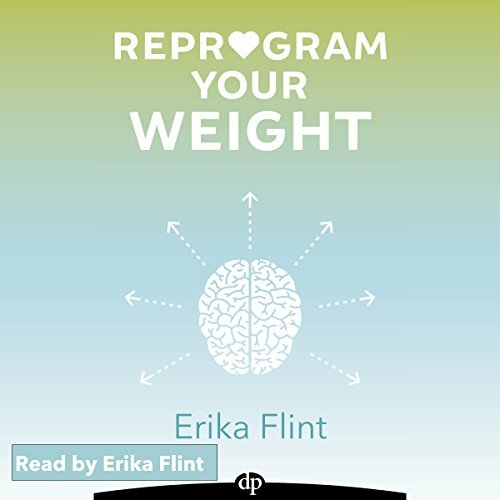 Reprogram Your Weight : Stop Thinking About Food All the Time, Regain Control of Your Eating, and Lose the Weight Once and For All, by Erika Flint. In the Amazon Best-Selling book Reprogram Your Weight, readers learn insightful and leading edge hypnosis techniques that are combined with client success stories of weight loss to help them lose the weight once and for all - just like Mary. Learn a powerful strategy to eliminate emotional eating forever. See how clients used specific brain “hacks” that helped them amplify what they naturally did well to lose weight faster. Learn a systematic method to incrementally and consistently lose weight that doesn’t include a food plan, or an excessive exercise program. Discover how to spot and remove “bad” data that is holding you back from your weight loss goals. Learn a new way to think about food that makes losing weight easier than ever before. Learn to use your body’s natural and unique strengths to accelerate your ability to lose weight. And much, much more. "Reprogram Your Weight gives us a well-crafted framework for how to lose weight and keep it off for the long term. The foundation of the approach is something I created and have used with thousands of clients and taught to hundreds of hypnosis students. Erika Flint does a great job of capturing how this applies to weight loss and I'm excited for this book to reach more people because I know it will help them where other weight loss programs have failed." -Cal Banyan, MA, Board Certified Consulting Hypnotist, Creator of 5-PATH® Hypnosis & Hypnotherapy, and author of the book, The Secret Language of Feelings.